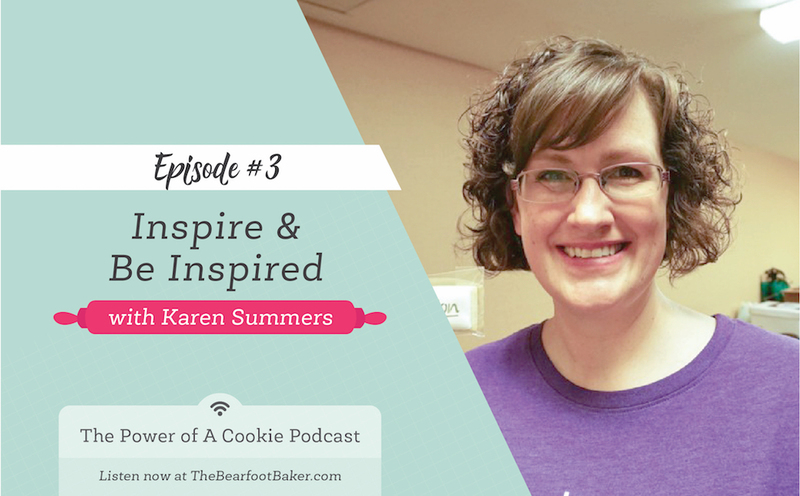 No one knows how to host a cookie party like Karen Summers from Cookie Con. 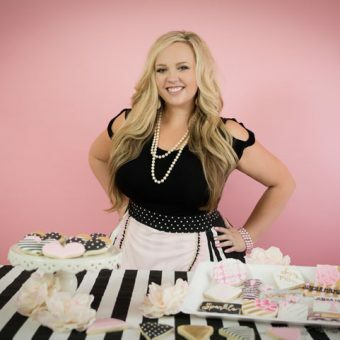 She invites people to teach us the latest cookie decorating techniques, brings tools and supplies so we can roll up our sleeves and learn how to use them with experts standing by to help, she throws a great banquet with lots of giveaways, and she does so much more! On the Cookie Con home page, it says “Inspire & be Inspired” and that’s exactly what Mike and Karen do. In this episode of the podcast, Karen talks about her first job. I’ll bet you’ll never guess what it was. Yep. A cookie decorator. She actually started making cakes and quickly found a love for decorating cookies. 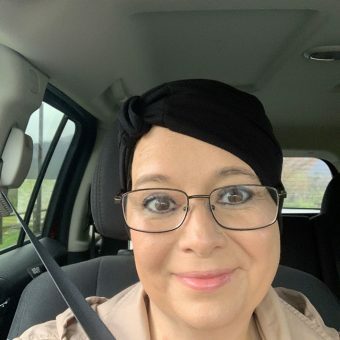 When I met Karen we had an instant bond and friendship that has continued to grow stronger each year and it all started with a weekend of cookie camp. 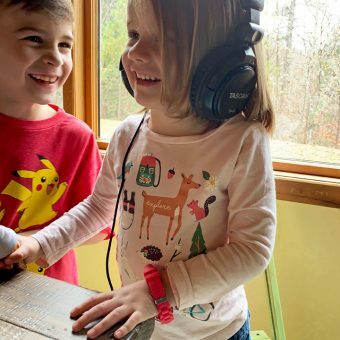 Now with Cookie Con, Karen and Mike continue making a place where decorators can get together and experiment with supplies, meet new friends, and form friendships that will last a lifetime. We all know the many talents of Karen like how she can juggle four kids. Decorate cakes and cookies. Organize a huge cookie convention with one hand tied behind her back. And has a million other talents that I’m totally jealous of. But did you know that her husband Mike is a very talented painter? The paintings are breathtaking! You can find Mike Summers Art here. There is a painting of a butterfly that looks so real you’ll think it’s photograph instead of a painting. Not to mention the other incredible works of art. His work is incredible! You really need to see his artwork! My sweet hubby Alan and I decided every cookie decorator needs to go to Cookie Con. September 12-15, 2018 it will be held in Indianapolis, Indiana. We’ll be there and we want to meet you. We can’t buy everyone a ticket but can give one away. Just leave a comment below and we’ll select and announce the winner here on Monday, September 18, 2017. 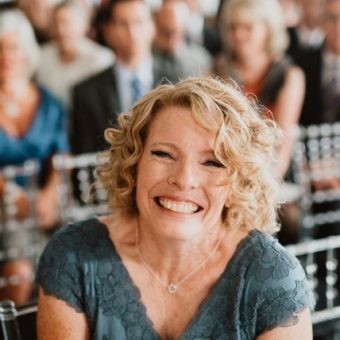 Lynne Schuyler-These podcasts are so fun!!! It’s great to hear cookiers tell their stories. Living in Idaho, I’m an online shopper by necessity and was completely surprised when I placed an order from Karen’s Cookies and it shipped from 3 hours away. I’m probably the only person sorry CookieCon is moving, but I totally understand the excitement of everyone within driving distance of Indianapolis. It truly is a great experience for anyone interested in decorating cookies. Congrats Lynne! I’ve sent you an email on what you need to do to claim your ticket! Karen and Mike are such an inspiration and the reason I started cookieing! I absolutely would love to win this ticket! Thank you for the opportunity to even enter! I love all of the vendors, the artists that share their craft and the fellow cookiers and their love of this amazing world! I’ve loved listening to your podcast while taxi-ing my kids. I’m new to cookie decorating, but feeling obsessed. Cookie Con sounds AMAZING! One day I hope to go to Cookie Con! The first time I saw the event advertised on Facebook, I thought it was the coolest thing I’d ever heard of! I would love to go to cookie con!! It sounds so awesome!! As a new cookie it would be a great learning opportunity! Cookie Con is truly Amazing!! Wow! How awesome it would be to experience cookies con! Thanks for doing this giveaway! Excited for the lucky winner!! What an awesome opportunity!! Your posts are continually inspiring me! You are so generous! Cookie Con is such an amazing experience! Counting the days!! I would love to go to cookie con and meet all the great bakers I folllw online! Baking is my passion and you ladies inspire me! See y’all there!